I tried some client library services for my project to resize images. They resized images correctly, however, they made the images quality slightly reduced. Until my client suggested me to try Tinify API service, that the API key I can just use, and it works pretty well. For complete reference, you can look at https://tinypng.com/developers/reference/php . That’s it! In CodeIgniter 4, there is a trait that specialized to be used for API, named CodeIgniter\API\ResponseTrait for that, that consist of collection of functionality to build a response. How about request filtering ? We will need a filter class that implements CodeIgniter\Filters\FilterInterface interface. Previously, I wrote a post about Post/Redirect/Get in Expressive 3 which specifically handle POST parsed body. How about File upload? Let’s do it! In this post, I will do with Zend\Form component. We are going to create a middleware for our application, for example, we name it FilePrgMiddleware, placed at src/App/Middleware. I will explain part by part. Unlike the normal PRG middleware in previous post, the FilePrgMiddleware need to bring the Zend\Form\Form object to be filtered and validated, so, it will be applied in the routes after the Page handler registration. First, we check whether the request method is POST and has the media type is “multipart/form-data”, then applied POST and FILES data into the form instance. We can save form post and file data, a form filtered/validated data (“form->getData()”), and its form error messages into session. Next, we redirect to current page with status code = 303. On next flow, we can check if the session has “post_and_file_data” key, set form error messages when session has “form_errors” key, and return Response. We can set the Zend\Form\Form instance into request attribute and call it handler, on form is valid, we can apply after its response check not a RedirectResponse. When we refresh it, it will normal refresh and won’t call a duplicate form submission. Live with deprecated function is bad, you may can’t upgrade to newer PHP version or newer library as the function that was deprecated already removed in next major/minor version. Use same environment or at least same major and minor version between local dev and production environment when possible, your life will be easier. You may found a a reality when you work at different version of PHP version or library that rely on specific function which already deprecated in some environment, the IsDeprecated may be solution at that time that can verify E_USER_DEPRECATED or E_DEPRECATED trigger error. It utilize jeremeamia/FunctionParser for user defined function check, and zendframework/zend-stdlib’s ErrorHandler for E_DEPRECATED function check. When you found the passed function is deprecated, you can use alternative function. * @param  string|array $function the "functionName" or ["ClassName" or object, "functionName"] or "ClassName::functionName"
E_DEPRECATED can be triggered on Core PHP function call. For Core PHP Functions or user function with condition (T_IF or T_SWITCH token), the function passed actually need to be called. It ensure that we don’t get error during call deprecated function, and we can use alternative function if the isDeprecatedCore() returns true with call of isDeprecatedWithActualCall. After > 1 year work with 52 releases, I think it is time to show off. Even you have 100% test coverage, error may can still happen, that’s why ErrorHeroModule was born. ErrorHeroModule is a Hero for your Zend Mvc, and zend-expressive application to trap php errors and exception with configureable options. The logging storage is mainly a database, then can continue “log” to your email when you want it. This handle all Exceptions and Errors with support PHP 7 Error during MVC process or middleware flow. This can be used when you have a functionality which has collection of E_* errors, and you need to keep the functionality to run. This can be used when you have exceptions that you want to have special treatment. This can be used when on some environment, eg: in production, we don’t want to get same error repeatly reported in some periodic time while we are fixing it. This can be used to set a default content when request is an XMLHttpRequest. This can be used to help reproduce the error. – with include $_FILES into attachments on upload error. This can be used to help reproduce the error, with include uploaded data when error happen when we just submitted a form with upload process. 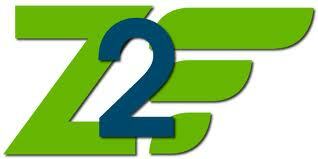 This module support zend-mvc:^2.5 and zend-expressive:^1.1|^2.0 with php version ^5.6|^7.0. My plan is to drop php ^5.6 in version 2. Allow custom formatter when log to email, currently, it send Json format to email. The drawback with allow custom formatter is you maintain/keep an eye yourself for the formatter you provide! Trap exception and error when they happen at Module::init(). That’s it for now. If you see something can be improved, please contribute! Thank you for all users that using it. This is another testing legacy application post. Don’t tell your client/other people to refactor, if your job is only to make tests for it, as at some situations, there are reasons to not refactor. You may have situation to test hard dependency that impossible to be mocked and stubbed. There is a library named AspectMock for it, that you can use in PHPUnit, for example. as the AspectMock documentation mentioned. We need an __invoke() call, as the closure never executed before it invoked. So, we need to call that. We know now, it won’t coverable as completed! What we can do? A refactor! But wait, it may be a legacy code, an aggressive refactor may cause problem, so a little but works patch may work for it. Make a $closure as class property, and add mutator and accessor for it. Ok, let’s do a demo application for this. Sometime, we need to reset position of title that default we can look at ZendSkeletonApplication like “My Album – ZF2 Skeleton Application” to something like “ZF2 Skeleton Application – My Album”. because of the layout rendered after view rendered, so we need to pass a value from view to layout via placeholder. So after set a title at view, we need to pass a value via placeholder view helper. $this->placeholder(‘titleType’, ‘APPEND’) that passed at 2nd parameter of headTitle() means that if titleType already set, so get from the already data, if no, set to ‘APPEND’ as default value. If we are working with Doctrine , we usually create entities first, and generate the database tables. How if the situation is the database tables and data is already ready, and we have to create an application based on doctrine and Zend Framework 2? We need generate entities! Don’t create them manually! it will add setter/getter into entities. With rebase, you can combine commits to/from other branch or squash commits with commands list while you get the list of commit via rebase -i command. As web developer, We already realize that we are lazy. Our client is often only have shared hosting, not dedicated server that we can install version control which simplify push and pull. We often forgot to upload some file we changed/added in local to shared hosting, and it make web is not run properly in shared hosting. The solution is to use rsync in local PC. Rsync is a file transfer program for Unix systems. 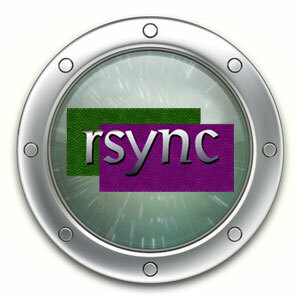 rsync uses the ‘rsync algorithm’ which provides a very fast method for bringing remote files into sync. An important feature of rsync not found in most similar programs/protocols is that the mirroring takes place with only one transmission in each direction. Rsync can copy or display directory contents and copy files, optionally using compression and recursion. And see the SFTP Port. Use the port to in rsync port target transfer. The option –exclude will exclude unneeded to sync. The option -timeout is what second to be connection to timeout. The Service Locator design pattern is implemented by the ServiceManager. The Service Locator is a service/object locator, tasked with retrieving other objects. Note for abstract_factories : Being explicit is more secure and reliable. You should not forgot to register service you write into ServiceManager. c. factories : an array of service name/factory class name pairs. c.1. If you are using PHP configuration files, you may provide any PHP callable as the factory. d. aliases : which should be an associative array of alias name/target name pairs (where the target name may also be an alias). e. shared :an array of service name/boolean pairs, indicating whether or not a service should be shared. By default, the ServiceManager assumes all services are shared, but you may specify a boolean false value here to indicate a new instance should be returned. f. services : an array of service name/object pairs. Clearly, this will only work with PHP configuration. It initialize the service whenever service created. It can reduce the redundance the injections to services. For what have to do to create a Controller pLugin , see : empirio’s post about creating Controller pLugin in ZF2. For what have to do to create a View Helper , see : my post about creating view helper or EvanDotPro’s post. Hope this post helpful ;). Happy new Year! GIT version control got one feature that I really like, named hooks. With hooks, we can configure what GIT do after metadata pushed to the remote server. It can ease our development because we don’t need to upload file manually, just say : git push remoteserver, so the file in our online web will be replaced. In software development, Git is a distributed revision control and source code management (SCM) system with an emphasis on speed. Git was initially designed and developed by Linus Torvalds for Linux kernel development; it has since been adopted by many other projects. Every Git working directory is a full-fledged repository with complete history and full revision tracking capabilities, not dependent on network access or a central server.